President Obama signing the farm bill. Image courtesy of whitehouse.gov. It’s official – we now have a farm bill. On Friday, President Obama officially signed it into law, marking the end of two years of campaigning. As we previously reported, the bill is a mixed bag of good and bad. Funding for many beginning farmer programs, including the Beginning Farmer and Rancher Development Program, are at the highest level we could hope for. 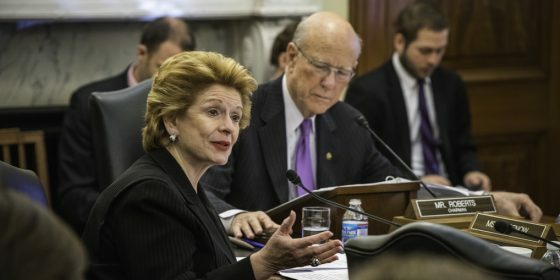 At the same time, there are some shortcomings, including a lack of real payment limit reforms (a maximum for how much large corporate farms can receive in subsidies) and a cut to the SNAP program. 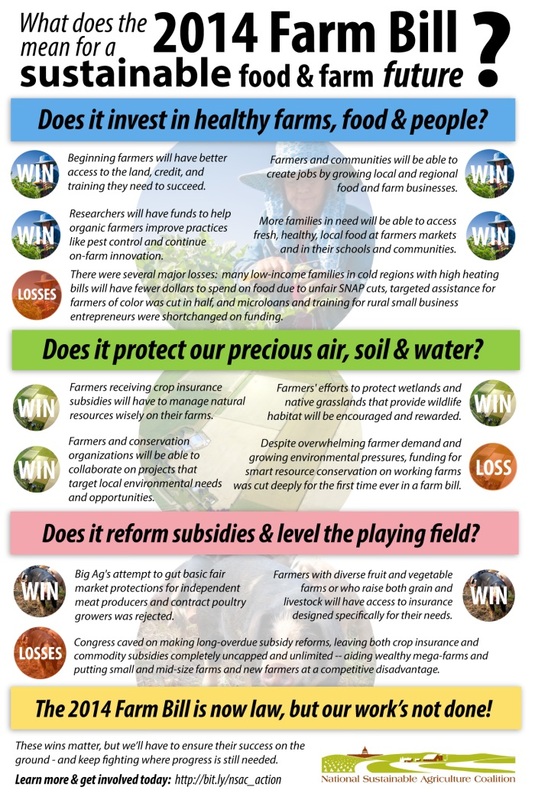 2014 Farm Bill Infographic, courtesy of the National Sustainable Agriculture Coalition.